Why do the shipping charges seem so high? Most individuals purchase one item at a time so US shipping costs shown on the webpage are typical USPS ground delivery pricing for items shipped seperately using a US destination farthest away from where FissureMan Online is physically located. If ordering more than one item the total cost for shipping will be shown as cumulative and is not calculated based on weight. As a result the cost to ship more than one item may add up to be more than what is actually required for a combined shipment in some circumstances. Combined shipping will be used wherever or whenever possible, economical and practical to save you on shipping cost. What if I use a check or money order to make payment - how will a possible refund be handled then? You would need to make contact first using the e-mail address on the front page of this web site. You will need to provide your shipping address and then a response will then be promptly returned in the form of an invoice document containing the postal address to send the check or money order. Within the invoice you will be advised as to the total amount to send that covers the item(s) price and the actual S&H costs for your purchase. This method provides for true combined S&H costs and therefore would have no necessity for a refund. I don't like paying more than I need to for a shipment! Will FissureMan Online do anything about this over charge for combined product shipments? Yes - once an order is placed, any Shipping and Handling costs not actually required for a combined shipment of multiple items - that is in excess of a fair and reasonable amount to complete your shipment - will be sent back through PayPal or SECURENET as a partial refund at the completion of the outgoing shipping paperwork. Wouldn't it be simpler to have a postal calculator adjust the cost rather than refunding the over charge? In a nutshell - YES. However, since FissureMan Online is a small, private entity with no big money connections it is necessary to use what is available from the US Postal Service in the form of free services. The USPS calculator does not operate with any method that will work as necessary to adjust S&H costs for multiple item combined shipments. The only other way would be to contract with an outside service that charges for this type of postal calculation and that would require increasing the prices of the products offered. FissureMan Online is committed to provide equipment and tools to our customers for the lowest possible item cost. 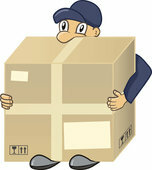 Can I avoid the shipping and handling costs all together if I pick up my purchase? YES - If you live close enough to FissureMan Online you can pick up your item(s) and avoid all Shipping and Handling costs. Just e-mail to make an appointment date and time for a personal pick up. Please be advised you will have to make your purchase with cash using this method of transaction. How well will my order be packaged - will I need shipping insurance? All orders are packaged using the best materials available. Boxes and the dunnage used are new and/or new recycled materials. Our packaging techniques have been humorously described as being "packaged like an organ transplant!". Even so, there is always a chance for the USPS system to mishandle a shipment along the way. Therefore, shipping insurance is always available by request should you not trust the postal system or our indicated packaging quality. Please be advised, FissureMan Online will not be responsible for shipping damage as shipment is a seperate function of your original purchase and not a product provided directly by FissureMan Online. Recycled? - Does this mean my order will be sent in old boxes and materials??? FissureMan Online considers itself a "Green", eco-friendly manufacturer when it comes to its products and shipment practices employed. Some dunnage materials will be material directly recycled by FissureMan Online. This would be clean cardboard box material reused for strapping within some shipment containers. When and if a box is reused it will also be clean and in good, usable condition for the purpose of product shipment protection. This is not only eco-friendly but an "eco-nomically" sound practice. After all, for every piece of new cardboard used it requires a whole tree to be harvested - do that long enough without recycling and there would be no trees left to harvest to make more cardboard! If I want to pick up my order or send my purchase payment by snail mail - where is FissureMan Online located? FissureMan Online is located in Southern California, USA.